For Kimberly-Clark’s perspective on this partnership, read this article by Lisa Morden, Kimberly-Clarks senior director for global sustainability. More than five years after the formal end of the “Kleercut” campaign, Kimberly-Clark and Greenpeace are still hanging out. Why? Well, first of all, Kimberly-Clark has delivered on its commitments. That makes Greenpeace happy, and makes it easy to continue our mutual engagement. Also, it turns out that the end of the hard-hitting campaign marked the beginning of the real work and learning for both sides. 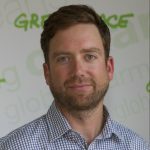 Here are five lessons learned from the Greenpeace perspective. When asked what it was that turned years of conflict to collaboration, it is hard to pretend there werent a mix of issues at play. That said, things began to change when lead negotiators from both sides started to trust each other. Thats not an easy thing to do. Campaigners have, for good reason, a healthy suspicion of companies and their spokespersons. Too often companies try to pass off greenwash for real change. And, its not hard to understand why it may be difficult for those within companies to be comfortable trusting someone who beat up their brands for years. However, trust building has a natural momentum to it. At first, it is risky. Then, when it turns out trusting was the right decision, it gets easier to do it again. That is why trust-building has continued between Kimberly-Clark and Greenpeace over the last five years. I dont think either side has ever blindly accepted what the other side has said. But, we both now know that anything but transparency, clear communication, and acting in good faith will end up backfiring. The Greenpeace Kleercut campaign stemmed from concerns about the Canadian Boreal forest. And, while Kimberly-Clark has had a positive effect on Boreal forest conservation since 2009, the effect of the new policy and our collaboration has had a much larger effect. After all, the Kimberly-Clark fiber buying policy is global. Im reminded of this when I see Kimberly-Clark products in airport bathrooms, hotels and store shelves worldwide. And, its not just procurement for product lines that has been affected. Kimberly-Clark and Greenpeace collaborate on issues of common interest. At the recentForest Stewardship Council General Assembly, the engagement of Kimberly-Clark helped Greenpeace craft and pass a motion to conserve Intact Forest Landscapes. This improves the worlds most respected forest certification system and will have positive effects on forests far beyond the Kimberly-Clark supply chain. And, for Kimberly-Clark, what began as shifts in procurement standards has turned into more of a cultural shift. No, the 100-plus year-old company is not totally different. But, as subsequent product innovations and announcements show, the company is building on, not just fulfilling, commitments made in 2009. Greenpeace is no stranger to controversy. Over the years, Ive gotten used to rhetorical slings and arrows, as well as real-life threats. Arm-chair advocates, from the comfort of the internet, accuse Greenpeace of somehow selling out to companies (note: Greenpeace does not take money from corporations and never will). On the other side of the spectrum, anti-conservation ideologues erect absurd conspiracy theories that pit Greenpeace against jobs, freedom, America, and apple pie (note: I think apple pie, like freedom, is delicious). The announcement of the new Kimberly-Clark fiber buying policy in 2009 was no exception. Some environmentalists said Kimberly-Clarks plan wasnt good enough. Anti-conservation hacks said Kimberly-Clark had made a big mistake. 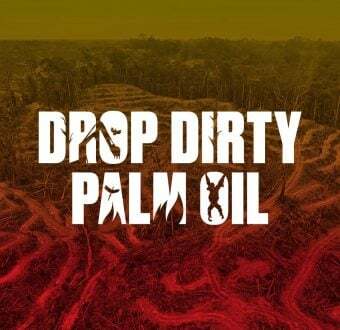 We even saw a company lash out against Greenpeace and Kimberly-Clark, cynically seeking to boost its own sales on the back of the media attention our collaboration was garnering. Over time, the haters fell silent as benefits to forests and the bottom-line proved them wrong. You cant make everyone happy, but you can do whats right and wait out the hate. Some companies move quickly when called out by Greenpeace, but that was not the case with Kimberly-Clark. The Kleercut campaign was a long one, spanning almost five years. At times, some thought there might never be resolution to the campaign. After all, we were asking the company to make new global procurement standards for the main ingredient to its core products. New pulp buying standards could mean an increase in price…something competitive companies try to avoid at all cost (pun intended). When Kimberly-Clark and Greenpeace finally did reach agreement, the companys commitment to its new procurement policy may have been stronger than it may have otherwise been. There was a lot at stake for the company to make it work. Over the years, media and stakeholders paid attention to the issues raised by the Greenpeace campaign. We reached millions of potential customers around the world. Back-tracking or pursuing the new commitments with something less than real ambition would doubtless backfire. And years of campaigning meant that a lot of people in the company were affected. Those that experienced what it was like to be in conflict rather than in a collaborative position with Greenpeace probably dont want to go back to that anytime soon. We learned that lasting change sometimes requires a bigger investment up front, and though Greenpeace did not plan it this way, we are glad about the results. Unlike the haters, a lot of people are ready for good news. So, when conflict ends and collaboration begins, it is easy for people to applaud and assume the problem (whatever it was) has been fixed. Not so. Many corporate commitments have falteredsome famously so. And, NGOs like Greenpeace often find it easier to run advocacy campaigns than to resource long-term implementation work that creates real results on the ground. While Greenpeace has invested in following through with Kimberly-Clark, there are plenty of things we can do better. For example, it shouldnt take five years for us to take a step back, celebrate whats been accomplished, and communicate that to the world.